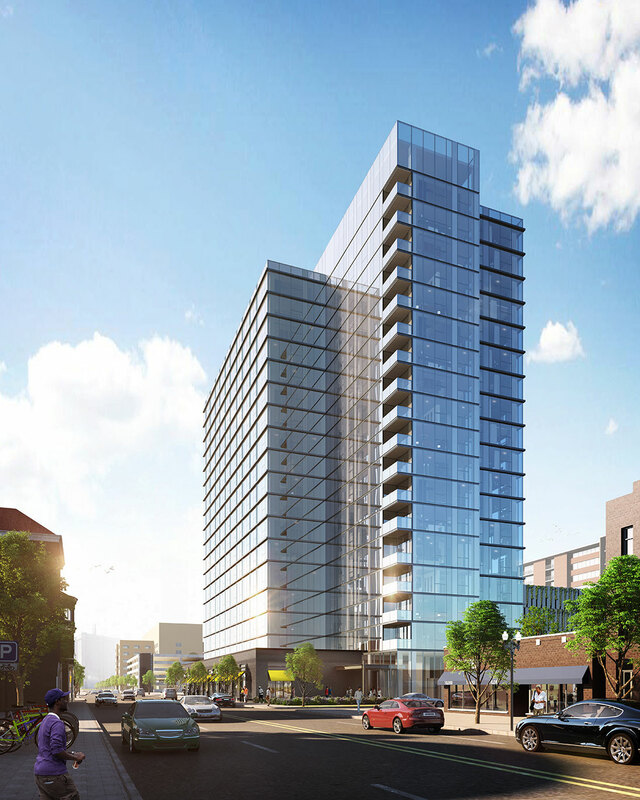 A mixed-use tower located in Chicago’s Little Italy/Illinois Medical District neighborhood, Ashland and Taylor features a glass and metal façade coupled with a 3-story podium. At the corner of Ashland and Taylor, the podium is pulled back to reveal the tower as it anchors the building. This reveal, in turn, allocates an open space for pedestrian activity and visibility for passersby. The composition of the podium’s masonry and textured metal panel relates to the neighborhood scale of Taylor Street. The 18-story tower is divided into three linear sections providing a verticality and lightness to the building form. 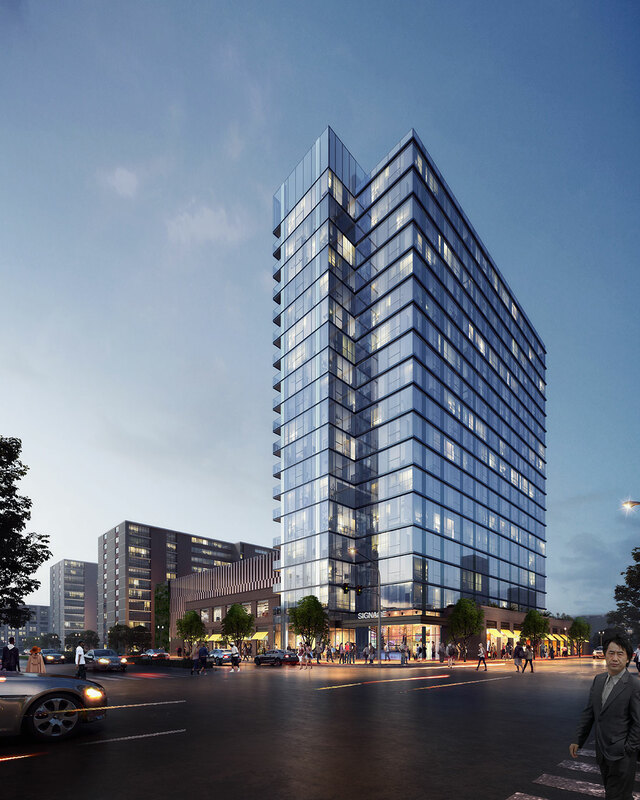 The tower’s shifted massing is further emphasized by its refined façade detailing, which is accented by an increased number of glass corners to allow an abundance of light into the residential units.